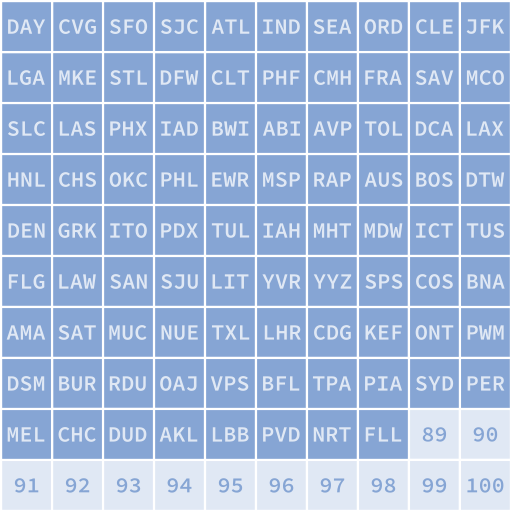 American Airlines was the first airline I gained elite status on, and for a while, I was able to fly the majority of flights on American (particularly helped by having my most frequent work destination at the time be the Dallas/Fort Worth area). However, by early 2012, my work travel destinations had changed, and travel American Airlines was less feasible for a substantial portion of my trips. I was able to maintain my status for a while, but United became my new preferred airline, and my share of American flights began to diminish. 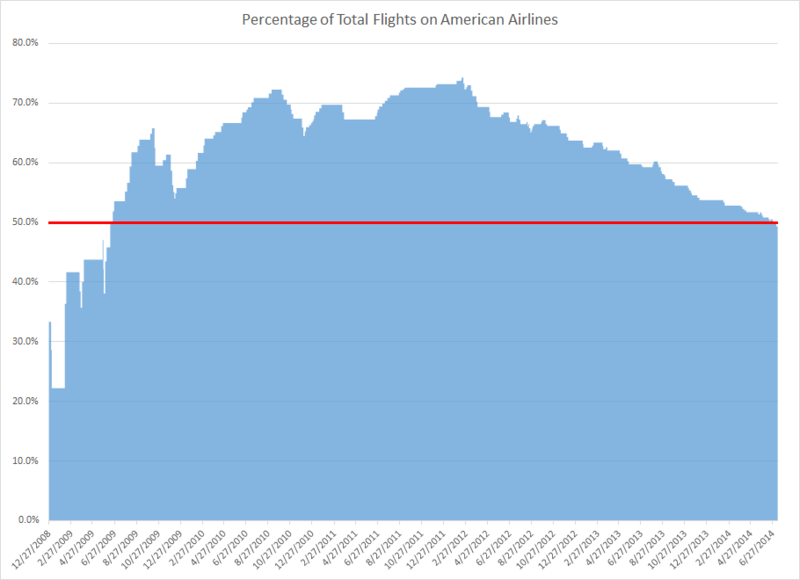 Because of the substantial lead I’d built up with American, it still took me until this month for AA to dip below 50% of my total flights. I’ve decided to commemorate the occasion with a graph. The flight that originally pushed me over 50% was a personal flight from Dallas/Fort Worth to San Jose, California on 15 June, 2009. AA peaked on my first Hawaii vacation’s final flight on 15 February 2012; just after that was when I started favoring United. However, AA was able to hold onto its majority until I flew from Chicago-Midway to Orlando on 4 July, 2014 for a quick weekend vacation. Oddly enough, despite most of my flights being work travel, all three of those milestones occurred on personal flights. 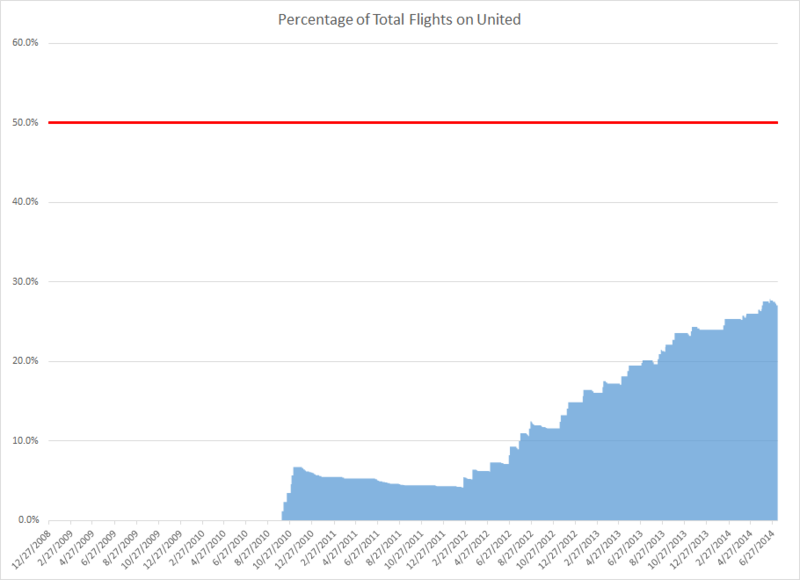 It will take me a while longer to hit 50% on United — 50% of 300+ flights I have now is much harder than 50% of the very few flights I had in 2009! 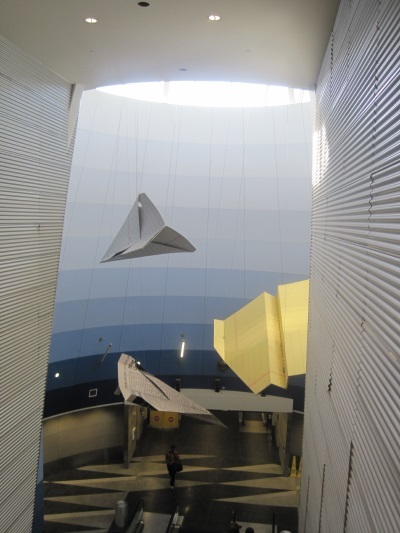 Nearly every time I’ve flown through Cleveland, I didn’t want to; one time when I did want to, I couldn’t. My first trip through CLE was traveling from a family Christmas party in Chicago to visit a friend in New York for New Year’s week. I’d been hoping to find a direct flight between the cities, as I wasn’t yet looking to visit new airports, but a direct flight cost six times as much as flying through Cleveland on American Airlines. Cleveland wasn’t even an American hub, but their schedule that day had a single regional jet fly from O’Hare to Cleveland and then from Cleveland on to JFK, which ended up being the first known time I’ve flown on the same aircraft twice. 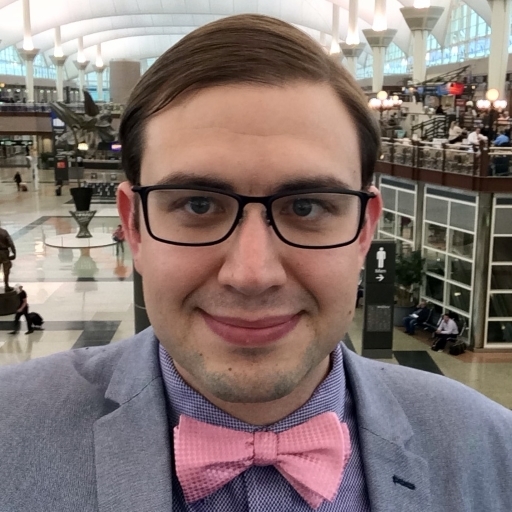 It took over four years before I would visit the airport again; I had a trip home from Oklahoma City through Denver to Dayton, but the OKC-DEN leg was delayed and caused me to miss my second flight. United only has one DEN-DAY flight per day, so they offered me a second layover in Cleveland. A few months later, I actually intentionally booked a flight with a layover in Cleveland, but my flight to Cleveland was cancelled, and I got put on a flight to O’Hare instead. So it was with great astonishment that for my next trip to St. Louis, I booked a Cleveland layover… and actually ended up with a Cleveland layover! Well, my intentionally-flying-to-Cleveland streak apparently wasn’t meant to last. 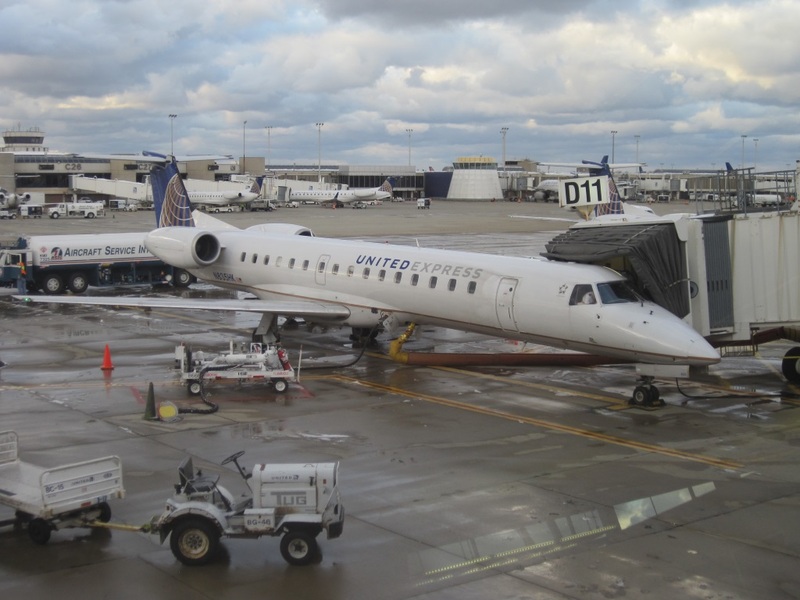 It’s unlikely that I’ll see much more of Cleveland in the future; United has dehubbed the airport, which means that CLE no longer serves my home airport of Dayton. CLE is about a three hour drive away from home, which leaves it in the awkward position of being too close to fly to as a destination, but too far away to act as a practical origin airport, particularly with DAY, CMH, CVG, and IND all within two hours of home. 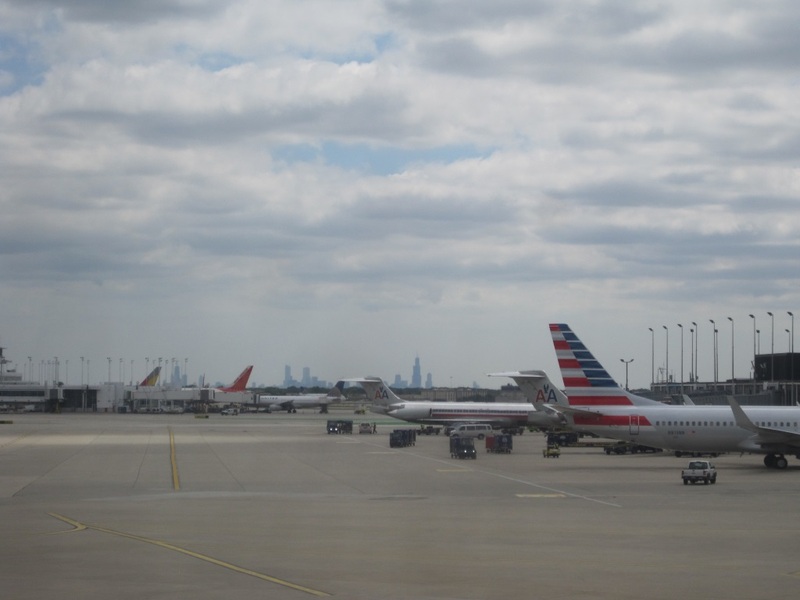 O’Hare is both a hub for the two airlines I fly the most and relatively close to Dayton, so I end up with a great many flights through there. Only my home airport and DFW beat it for visits as of the time of this writing. DFW built up a commanding lead back in 2009 through 2011 where I was both flying American nearly exclusively and had the Dallas/Fort Worth area as a frequent work destination. 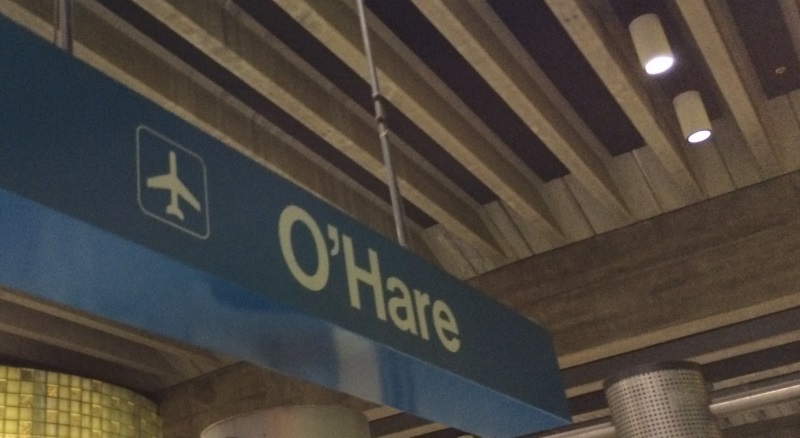 O’Hare is catching up, though, now that my status is with United, and I don’t have much reason to visit the Metroplex any more. Even before the flight log started, I’ve been to O’Hare a number of times; I have a lot of family in the Chicago area, and we lived in the UK for a few years, so any time we came back to visit family we’d end up through there. O’Hare is also home to some of my favorite airport food – Tortas Frontera, located in both the B and K concourses, provides great grilled sandwiches if you have the 10 minutes to spare for them to cook it to order for you.